Welcome to Cyprus Water, an open repository of data and functionality on water reservoirs in Cyprus. This is an open repository of information and functionality related to Cyprus' water reservoirs and their storage. You can learn about dams in Cyprus and their storage presently, and in the past. From the website of the Water Development Department. Can I create an app that uses this data? Yes. You can use the API described below. If you do this, we expect you to make fair use of the resource which is provided for free and without any guarantee. We would also appreciate but not require an acknowledgement/attribution. 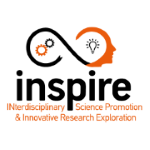 How do I acknowledge this project, its data and its services? Queries static information about the main water reservoirs (dams) in Cyprus. The reply is encoded in JSON. Queries the statistics of water reservoirs on a specific date. The query uses the format yyyy-MM-dd (e.g. "?date=2018-06-21" to query the statistics for June 21st, 2018, or if no data exist for this date, then the latest date before the specified one). If no date parameter is specified, the server implies the current date. The reply is encoded in JSON. Queries the storage percentages of the main water reservoirs on a specific date. The query uses the format yyyy-MM-dd (e.g. "?date=2018-06-21" to query the percentages for June 21st, 2018, or if no data exist for this date, then the latest date before the specified one). If no date parameter is specified, the server implies the current date. The reply is encoded in JSON. Queries the timeseries of the water level through time. The query returns a Timeseries object containing basic info of the dams, plus an ordered array of dates to percentagesThe reply is encoded in JSON. The following are Admin-only API calls which you cannot access (and you shouldn't need to). Triggers a grab from the source website (requires authentication and admin rights which you most likely don't have). Returns a message encoded in JSON. Timeseries graph, showing the water level across the main reservoirs over time. Timeseries graph, showing the share of each dam compared to the overall water reserves, over time. 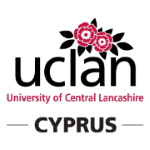 Developed by Computing at UCLan Cyprus. For details please contact Dr Nearchos Paspallis.